Jerusalem Sep 14 (IANS) Palestinian President Mahmoud Abbas said on Thursday that the Palestinian people are still committed to making just peace with Israel. Abbas made the remarks during a meeting at his headquarters in Ramallah with the leaders of three main religions Islam Christianity and Judaism in the Palestinian territories. He stressed on the necessity of making peace with Israel based on international resolutions related to the establishment of a Palestinian state on the 1967 borders with East Jerusalem as its capital Xinhua reported. Abbas was quoted by the official Palestinian news agency WAFA as saying that the Palestinian people deserve an independent state with East Jerusalem as its capital "which will be open for the three main religions". "Palestine is a model to be followed and a good example in coexistence and social peace " the Palestinian leader said. The religious leaders affirmed to Abbas their support to his policies that aim at achieving the hope and aspiration of the Palestinian people namely freedom and independence. 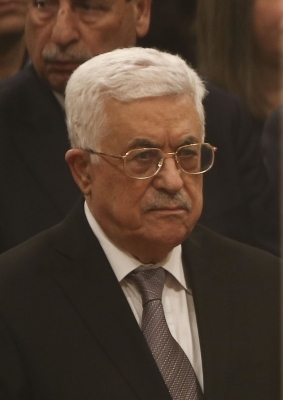 Ahmad Majdalani a senior official in the Palestine Liberation Organization (PLO) said that Abbas speech "will be like the worksheet for the coming stage". He told the official Voice of Palestine Radio that the Palestinians will carry on with their steps that will be escalated within the coming period in response to the American and Israeli policies and measures that were taken to terminate the Palestinian cause. The Palestinian Authority has been boycotting the US administration led by President Donald Trump as a peace broker after Trump announced last December to recognize Jerusalem as Israel s capital and relocated the US ambassy in Israel from Tel Aviv to the disputed holy city in May.